This course will enable participants to gain a good general understanding of the main features of Word, giving them the ability to produce professional layout setting in documentation, creating tables, using Quick Parts, columns, pagination, tabs and lists. Participants should be familiar with using computers and have used a mouse and keyboard. Participants should be comfortable in the Windows environment and be able to use Windows to manage information on their computer. To get the most out of this course, we recommend completion of one of the following courses, or equivalent knowledge from another source: Windows 2016 / Windows 7 and Microsoft Word Basic. This course will enable participants to gain a good general understanding of the main features of Word, giving them the ability to use spelling checker, comments, mail merge and track changes. The participants will also learn how to format a Research Paper by using References tools such as bookmarks, footnotes, Table of Contents and citation. Participants should be familiar with using computers and have used a mouse and keyboard. Participants should be comfortable in the Windows environment and be able to use Windows to manage information on their computer. To get the most out of this course, we recommend completion of one of the following courses, or equivalent knowledge from another source: Windows 2003 / Windows 7 and Microsoft Word Basic and Intermediate. This course will enable participants to gain a good general understanding of the main features of PowerPoint, giving them the ability to produce standard presentation, creating simple slide, formatting and printing slides. Participants should be familiar with using computers and have used a mouse and keyboard. Participants should be comfortable in the Windows environment and be able to use Windows to manage information on their computer. To get the most out of this course, we recommend completion of one of the following courses, or equivalent knowledge from another source: Windows 2003/ Windows 7. This course will enable participants to gain a good understanding of managing master slides, creating tables and charts, creating animations, creating custom shows and setting up slides for presentations. Participants should be familiar with using computers and have used a mouse and keyboard. Participants should be comfortable in the Windows environment and be able to use Windows to manage information on their computer. To get the most out of this course, we recommend completion of one of the following courses, or equivalent knowledge from another source: Windows 2003 / Windows 7 and Microsoft PowerPoint Basic / Intermediate. This course will enable delegates to gain a good general understanding of the main features of Excel, giving them the ability to produce standard spreadsheets, create formulae and format and print spreadsheets. This course will enable delegates to streamline repetitive tasks and display spreadsheet data in more visually effective ways. The target students for this course are students who desire to gain the skills necessary to create templates, sort and filter data, import and export data, analyze data, and work with Excel on the web. In addition, this course is suitable for those interested to step-up a level with existing knowledge of the basics of Excel, including how to create, edit, format, and print basic worksheets. Designed for those who are geared up to speed with Microsoft Excel but you would now like to automate some common tasks, apply advanced analysis techniques to more complex data sets. This course is aimed at someone desiring to gain the skills necessary to create macros, audit and analyse worksheet data, create Pivot Tables and Pivot Charts, use lookup tables and import and export data. 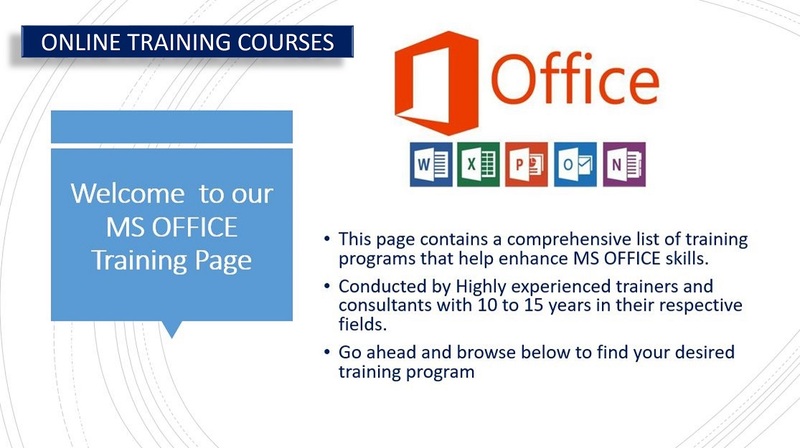 To get the most out of this course, we recommend completion of one of the following courses, or equivalent knowledge from another source: Excel Basic / Excel Intermediate.